Alpine Ash ( Eucalyptus delegatensis, ( MYRTACEAE ). The adult moths have forewings that are a uniform dark brown. The males have a purple sheen. 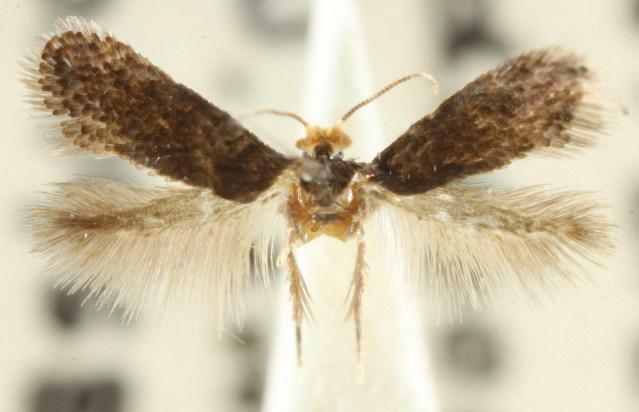 The hindwings are brown with broad fringes. The wingspan is about 5 mm. Volume 2, p. 13, figs 10, 51, 103.